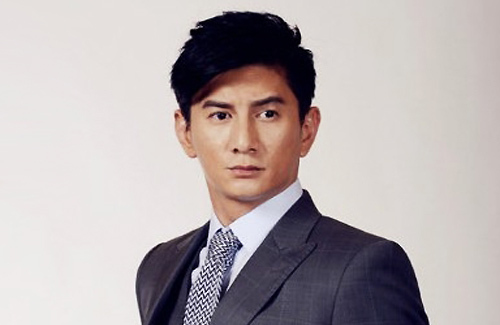 Actor Nicky Wu (吳奇隆) has yet again been crowned the champion of Taiwan’s top-earning drama actors, with an estimated yearly income of 500 million NTD. Thanks to a surge in popularity after appearing as Fourth Prince in the time-traveling drama Bu Bu Jing Xin <步步驚心>, Nicky is now in extremely high demand when it comes to mainland Chinese television productions, with a rumored per-episode cost of 3.85 million NTD. Though his manager would not divulge his income, it is estimated that Nicky netted 360 million NTD from filming upcoming dramas Bu Bu Jing Qing <步步驚情 > and Incisive Great Teacher <犀利仁師>. He also pocketed an additional 140 million NTD by advertising for Samsung and serving as a sightseeing ambassador for Australia and New Zealand. This is the third year in a row that Nicky has topped the list of Taiwan’s highest-earning drama actors, and his income has nearly doubled since last year, when he brought in 270 million NTD. The year before, he earned 171 million NTD. Actress Ruby Lin (林心如) came in second on the list, with a yearly income of 278 million NTD. Although her per-episode cost is approximately 2.4 million NTD, she is reportedly extremely selective about which projects she takes on, and filmed only one drama and movie apiece this past year, apart from two cameo appearances. According to her manager, Ruby also spent a lot of time this year doing pre-production work for future dramas. In third place is Wallace Huo (霍建華), who filmed a total of five dramas this year, including the heavily criticized but widely watched Swordman <笑傲江湖>. He will also have a guest appearance in Nicky’s Incisive Great Teacher. Wallace’s yearly income amounts to 200 million NTD, and he is estimated to bring in 1.44 million NTD per drama episode. Rounding up the list are Ady An (安以軒) with 194 million NTD and Peter Ho (何潤東) with 168 million NTD. After an uneventful turn in 2012, Ady is back on the scene with two mainland Chinese dramas, one Taiwanese idol drama, a movie, and a guest appearance in the upcoming Chinese Paladin 5 <仙劍奇俠傳>. Peter is equally busy, having filmed three movies, a mini-movie, and two television dramas, including the well-received Shining Days <璀璨人生 >. Swordsman was “heavily criticized”? What did the critics say? Just google Jaynestars alone or watch an episode or 2 and you will know what the critics said. What politically driven? Nothing about politics. Yu Zheng changed the book substantially and even if you don’t know the story or read the book, Swordsman is still a god awful production. Making substantial adaptations from a novel should be okay. The series is neither stellar good nor bad. It still has artistic value. I saw parts of this new soul called adaption and it is not so great, but I guess if you are crazy for love stories then you will like it. However, as an adaption, it is really terrible. The changes are just plain stupid and ridiculous. Yu Zheng should have just wrote his own story and characters instead of take a classic novel and butcher it. It’s primarily wuxia with all sorts of relationships (not only romance) sprinkled throughout. Maybe it is simply more enjoyable without expectations. Sounds like Ruby Lin is in the Mandarin version. I find many fans liking it since they are romance crazy and love the relationship between DFBB and LHC even though the change is ridiculous according to the novel. They are more focused on that than anything. Also since Joe and Wallace used to date they want them together in real life again. It would be great if they date again. Can’t wait for Bu Bu Jing Qing ! Hope it’s as good as the first one! Saw the … MV? Trailer? Whatever it was, it was too morose. So morose. After BBJX to me love is so morose and so torture, why love? Hey, it’s a drama, they have to make it as dramatic as possible to keep shock value up (and the audiences attention). True things are over do in series. But I think in real life love can be sweet, it can be bitter as well. Nothing is all good and pleasurable. Most importantly, all of us want Yongzhen and Ruoxi to be a couple in the end when they find each other again in 2013. But that is not Yongzhen anymore. That is somebody else. I wished the producers did not make a sequel. BBJX is good enough and the ending is clear enough. Wallace Huo no. 3?! From filming alone? So rich! Five (5) dramas a year is a lot. He really worked hard so he deserves it. I think it’s okay to do a sequel. BBJX fans must’ve generated enough uproar for producers to even consider a sequel, so making BBJQ isn’t just about cashing in money, but satisfying viewers as well. I personally am anticipating BBJQ. If you don’t want one, don’t watch it. Just pretend it doesn’t exist. Anyway, kudos to Nicky for earning that spot.